You are here: Home / Resources / Twitter, what is all the fuss about? Twitter, what is all the fuss about? Twitter… What’s all the fuss about anyway? You’ve heard things about this ‘social media’ thing, and wondered why everyone is talking about it. You might even have a Facebook page. But that’s just for sharing personal information about what you are up to with your friends and family. You also might be forward thinking a bit about your career and have already started a LinkedIn page, and shared your personal information and started to build your professional network. Good for you, you’ve started down the path of adding some social media into your life. See, it’s really not all that bad. Now on to the really powerful one called Twitter. I know, you’ve heard people talk about twitter, heard these funny new words like “tweet” and “tweeps”, and worse of all you’ve heard all people talk about is what they ate for lunch. I too was in your same place a while ago. Looking back, my first sign up with Twitter was over two and a half years ago, right after it started. But I was turned off by the service because of a couple of issues. First, I really didn’t like going to the Twitter web page to interact, and someone suggested I setup my cell phone to receive all my ‘tweets’ via SMS texts. That lasted about 20 minute or so of a frustrating endless vibrate going on. Second, I didn’t know anyone personally or professionally that used this new service. Fast forward to spring of last year. Based on a very simple suggestion, I learned to access Twitter, not via website, or cell phone, but to use a Twitter Client. Wow! Everything changed overnight when I could access a ‘twitter stream’ and control the flow and content of the Twitter feed. It was a whole new experience. It made the process much easier and more manageable. Then out of the blue, a new Twitter ‘friend’ (someone I’ve never met in person, who lives in a different country, but shares some of the same passions for Wireless LANs) – did be a huge favor and sent me a local European SIM card while I was on vacation with my family in Paris. He basically over-nighted a loaded SIM for me, additionally gave me great suggestions on where to visit, and places to see. All because we had exchanged a few 140 character messages talking about our shared passion. I found this Twitter thing could be valuable! I realized there are real people, who share many of my same goals and interests, willing to help and share their experiences with me, just for asking. And, that there were also people who could use my help as well. A community of people, not tied together by some artificial reason because of where they live or work, but based on shared interests. There is an entire world of Wireless LAN Professionals who are using Twitter on a regular basis. Of course for the Social bit, sharing what they are up to, where they are traveling, etc. But more importantly, they also share ideas and tips, as well as interesting URLs and articles about a shared passion. Twitter can also be a place to ask questions and get very timely answers. It kind of reminds me of the good ‘ol days with BBS’s and Online Tech Support Forums where we’d go in the past to get that same timely, authoritative answers to pressing tech questions. Give it a try, set yourself up an account on Twitter.com, its not only free, but very easy. Then try out one of the many Twitter clients available. I now use a funny-sounding client called Osfoora on my iPhone and iPad, and Tweetie on my MacBookPro. But there are many other clients available on all platforms, from Blackberry to Linux and everything in between. To get you started on finding some folks who might share your interest in Wireless LANs, check out this list of folks that I follow at http://wlanpros.com/follow. You might also want to search for the “hashtag” (a Twitter method of tagging information) of #WirelessWednesday when people share other Twitter users addresses they personally recommend. 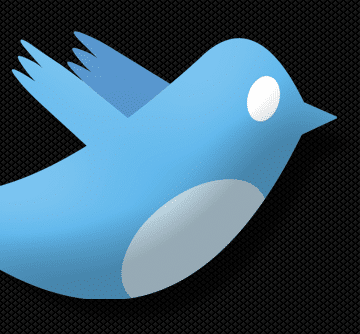 There are also many searchable, well-written tutorials on “How to use Twitter”.